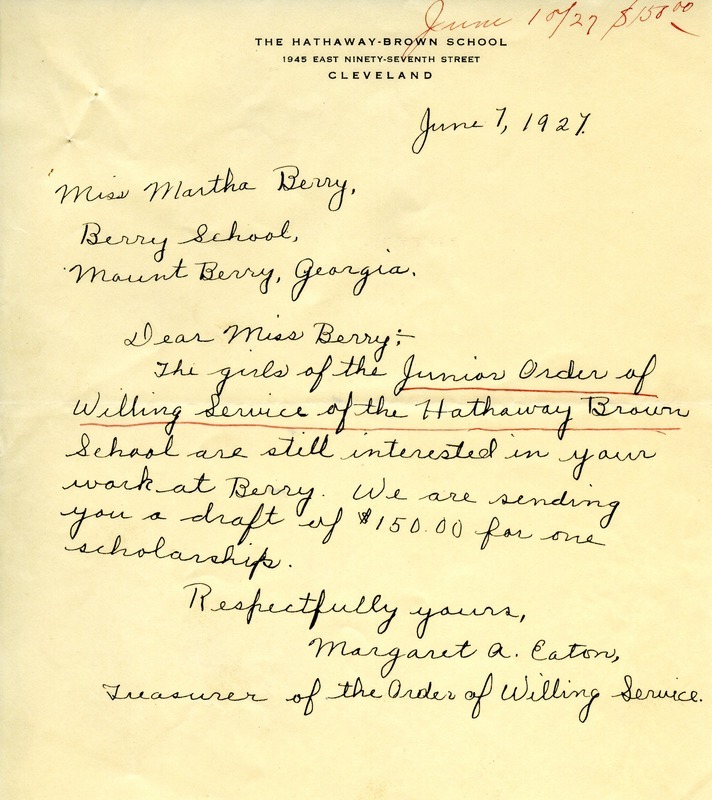 Margaret writes to Martha with a donation for a scholarship from the girls of the Hathaway Brown school. Margaret Eaton, “Letter to Martha Berry from Margaret Eaton.” Martha Berry Digital Archive. Eds. Schlitz, Stephanie A., Jordan Brannen, Aaron Jackson, et al. Mount Berry: Berry College, 2012. accessed April 25, 2019, https://mbda.berry.edu/items/show/4789.